Thanks to my friends over at True Aussie Lamb and Beef and Big Green Egg for sponsoring this post! Hey guys! I can’t believe the last installment of this True Aussie Lamb and Beef and Big Green Egg series is here already! In case you forgot, you can enter below to win your very own Big Green Egg! 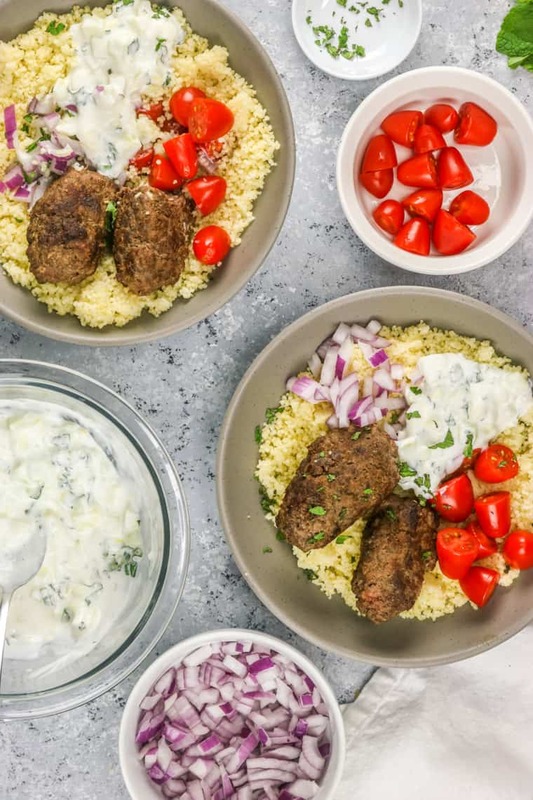 These Aussie Ground Lamb Kofta Bowls are the perfect way to celebrate! They’re full of flavor and healthy which is perfect for a weeknight meal. 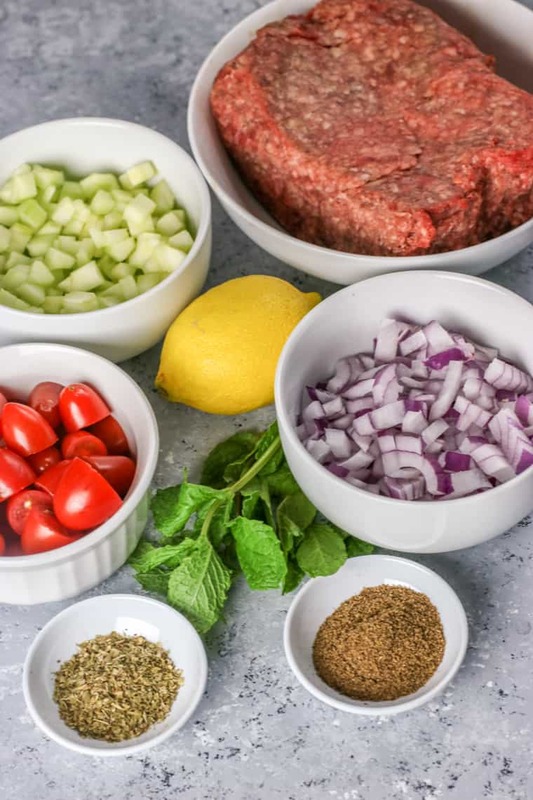 I love trying out new flavor combinations so, when I stumbled onto kofta, I knew I wanted to try it out! They’re traditionally Middle Eastern, but versions have been found all over the world including Central and South Asia. 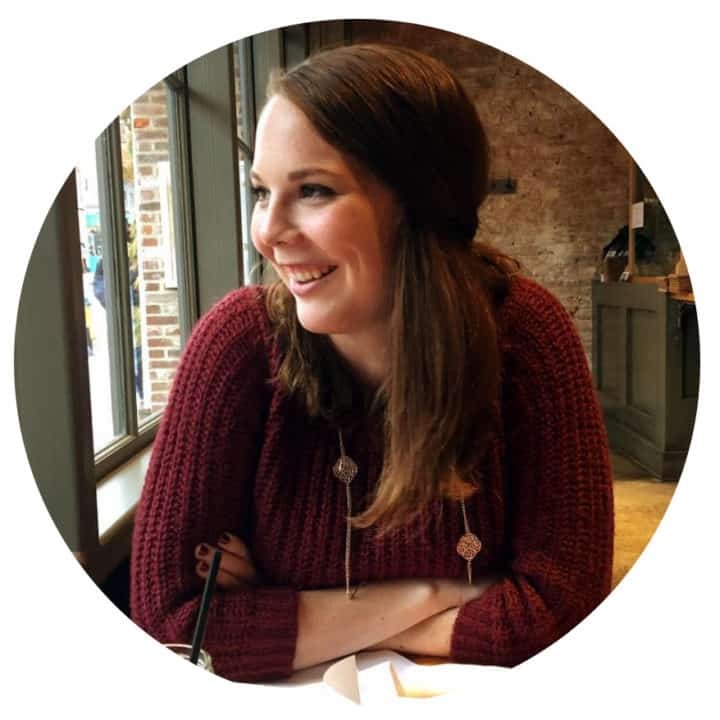 They’re a cool new take on meatballs if you’re looking to try something a little familiar, but with a twist! The Aussie Ground Lamb made a perfect base to combine the oregano and garam masala with it. The combination gives it a great warming, herby flavors that definitely aren’t in your normal meatballs. 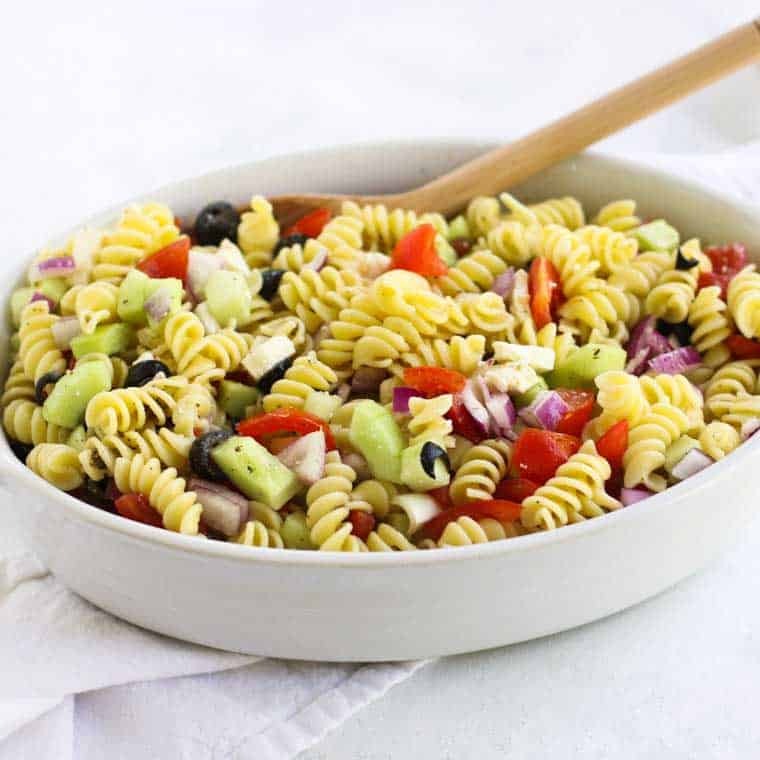 Then you get to top those warming flavors with bright summery flavors from the tomatoes, red onion, and the cucumber mint tzatziki inspired sauce. It balances out to be comforting and refreshing all at once! The cucumber mint sauce combines those flavors with lemon zest to really brighten everything up! I think the best part about this dish is that it makes a perfect meal prep too! I combined the couscous and Aussie ground lamb kofta into one container and the red onion, cucumber, and cucumber mint sauce into another. 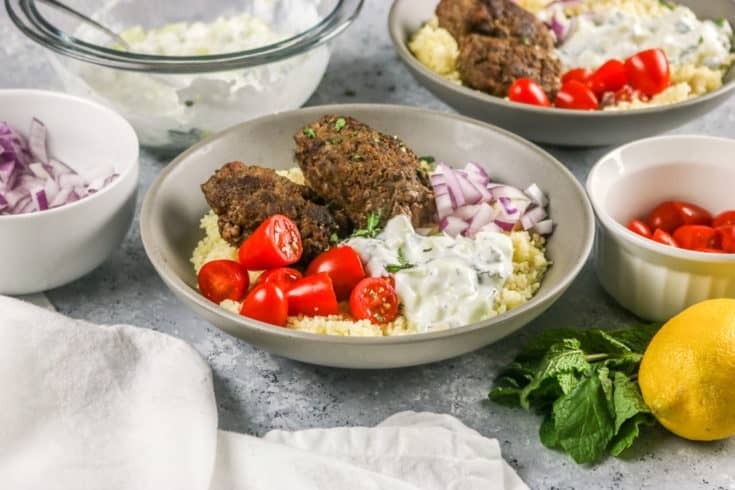 I heated up the kofta and couscous and topped it with the rest for a perfect lunch! In case you missed it, be sure to enter here for your chance to win your very own Big Green Egg! 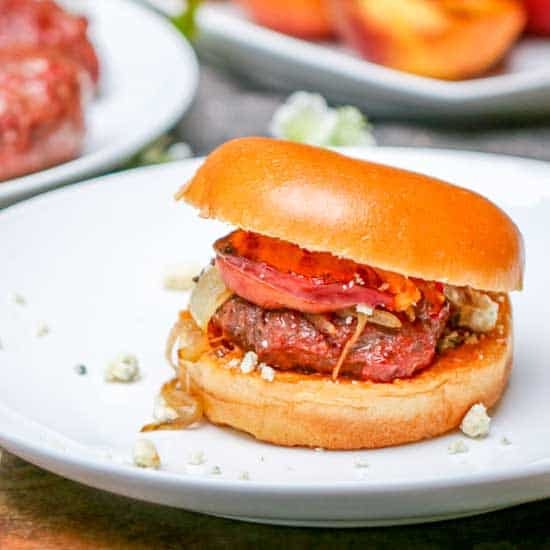 Check out these Aussie Ground Beef Burgers with Grilled Peaches and Chipotle Onion Jam or these Mint Marinated Aussie Lamb Chops if you need a little more inspiration! 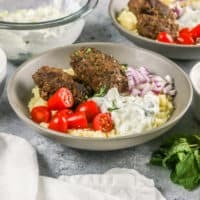 These Aussie Ground Lamb Kofta Bowls are so easy to make and full of flavor! In a large bowl, mix Aussie ground lamb, oregano, garam masala, salt, and pepper together. Form 8 kofta and set aside. In a cast iron skillet, heat olive oil over medium heat. Add in kofta and cook for about 15 minutes flipping every 1-2 to avoid any burning. 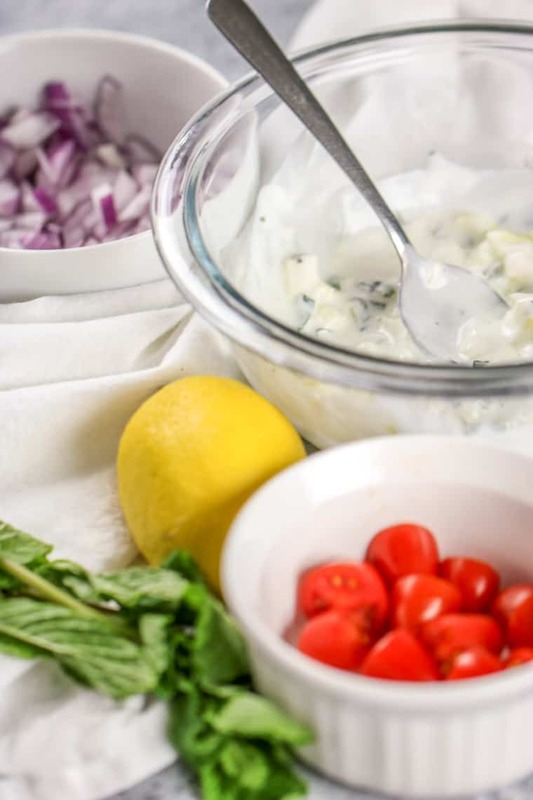 In a small bowl, mix cucumber, mint, lemon juice and zest, and plain greek yogurt. 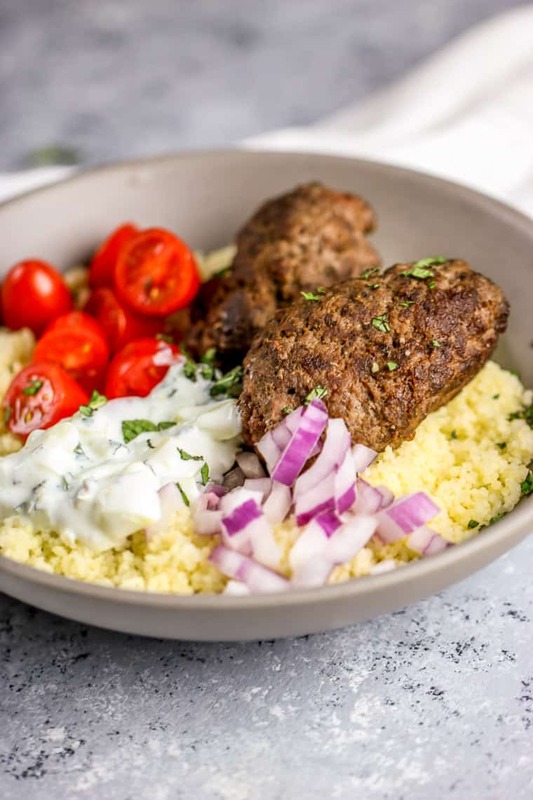 Serve kofta over couscous with cucumber mint mixture, grape tomatoes, red onion, and mint to top. Enjoy!